I was fortunate to hear about Jennifer Urezzio last August, when I learned about her Know Soul’s Language and The Intuitive Toolbox™ programs. It took me a while before I was able to get some first-hand experience with these programs, and my introduction to Soul’s Language was so fascinating and insightful, I asked Jennifer if she’d be willing to be interviewed by me for my blog. Fortunately for all of us, Ms. Urezzio said, “Yes!” and here are my questions and her answers in a conversation about Soul’s Language. (1) First of all, thank you so very much for accepting my invitation to be interviewed! I was greatly impressed by my Soul’s Language session with you, which I found to be deeply and profoundly moving as well as inspiring. Would you please describe what Soul’s Language is, and how it’s helpful to people? Soul Language is putting tangible to the intangible – Soul. It allows individuals to put into words what they know to be true inside of themselves and then helps them create a conscious connection with their Soul. It has help individuals feel a deeper connection with themselves and therefore the Divine. (2) What inspired you to create Soul Language? I didn’t really have a choice. J I asked a big question of the Divine: how to I use my gifts and talents, how do I connect with my Soul in a deeper way and how to I find my community. The answer that I heard via Divine guidance was and is Soul Language. I haven’t stopped asking questions. (3) How are Souls Languages similar to and different from Jungian archetypes? I believe that the Divine provides us with information about ourselves in a number of ways and as the consciousness grows so does that information. There is always going to be “standard” archetypes: nurturer, pioneer, teacher, etc. So of course, these are included in the Language categories. The Soul is complex so we can’t really put it in a box. Soul Language includes some of this information but the key is connection and Soul Language provides the opportunity for individuals to communicate on a deep level with their Soul. (4) You’ve said each person has three Soul’s Languages. Could you describe these in layman’s terms that we can relate to regarding how they operate in our lives? The three categories are: mission, how you fuel that mission or how you will be known here and your Soulful personality. (5) As I understand it, one of the key benefits provided by Soul’s Languages lies in coordinating the way a person’s Soul’s Languages interact–harmoniously or inharmoniously. Could you give examples? My Soulful personality or Tone Language is Graceful Warrior. When I’m in unconditional love for myself I understand that compassion is my greatest tool and talent for myself and for others. When I’m in conditional love or inharmoniously expressing this Language I’m a war with everything. That being a war is very painful. It creates conflict, pain and turmoil in my life and in my business. (6) Do people usually keep the same Soul’s Languages throughout their lifetimes, or do some people adopt new or different Soul’s Languages in different stages of life? Your Soul Languages are yours this life time. It would be very confusing to have our Soul Languages keep changing. You can spend a life time getting to know yourself, without having the information keep changing on you. (7) It seems that knowing how one’s own Soul’s Language interacts with the Soul’s Languages of other people could provide tools that help improve communications. Do you offer insights for people who come to you seeking Soul’s Language advice for friends, colleagues, or family members? I have community members that know their entire immediate family’s Soul Languages. All my close friends know my Soul Languages and I know theirs. When you understand how a person is operating consciously or unconsciously it helps not to take situations so personal. So when I work with a community member that knows the Soul Languages of that person that they might have conflict, I remind them of the unconscious behavior of that particular Language. Also, I noticed that people “collect” certain Soul Languages. We tend to surround ourselves with the same type of energy. (8) Soul’s Language seems like it could be a powerful catalyst for spiritual and personal growth. What kinds of feedback have you gotten from people who’ve come to you for Soul’s Language readings? The number of feedback is thank you for putting words to what I know deep down inside of me. I also hear that individuals have a deeper sense of peace, acceptance and love for themselves and others. (9) Is Soul’s Language still evolving and expanding… or do you have any new projects in the works? Soul Language is a living, breathing organism. Just like Soul. We now identify a person’s business Languages and sacred partnership Languages. We are also always creating tools that help people connect in a deeper way to themselves and the Divine. (10) Thank you so much for sharing so much information about you and your wonderful work. How do you recommend people get in touch with you to learn more about Soul’s Language? 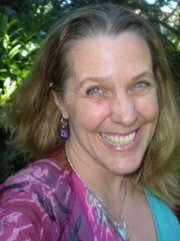 They can access me via the website, www.knowsoulslanguage.net, or feel free to telephone me at 862.368.5877.